We can guarantee our dealers will meet code requirements the very first time. Aeroseal LLC today launched a new program that guarantees contractors will meet standard building code requirements for duct sealing the first time, every time, or its free. This unprecedented guarantee, being offered exclusively to those working on new home construction projects, highlights the advantages of using aerosolized duct sealing technology over traditional sealing methods including fast, guaranteed results with reduced labor hours. 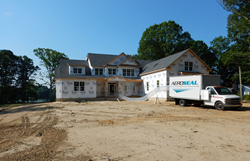 Along with the Meet Code the First Time guarantee, Aeroseal’s new program for new home construction contractors offers a number of other incentives designed to make the use of aerosol-based duct sealing a more compelling choice. Other program offerings include a dedicated residential new construction system package, new easy-to-pay purchasing options and a Quick Start rebate program that rewards contractors cash back based upon the number of seals completed. First used for sealing ductwork in existing homes, aerosol duct sealing is proving to be ideal for new residential construction as well. Results from a study conducted for the U.S. Department of Energy found that aerosol duct sealing is 50% more effective than traditional manual sealing and can reduce labor costs by as much as 70%. This means contractors can now provide guaranteed airtight ducts to the builder, improve comfort and indoor air quality for the homeowners, and reduce the cost requirements for new HVAC equipment. For more information about aeroseal duct sealing technology or the Meet Code the First Time Guarantee program, visit http://www.aeroseal.com/rnc2018 or call us direct at 877-349-3828. Follow us on social media #rnc2018 for related news and updates. Developed with funding from the U.S. Department of Energy and others, aeroseal technology solves the endemic problems associated with duct leakage. 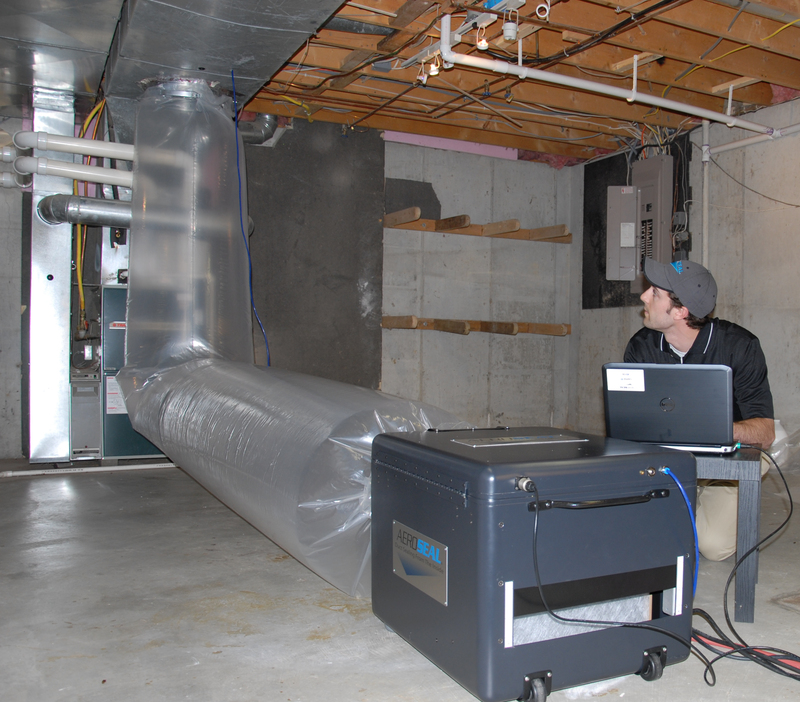 Aeroseal is a computerized duct sealing process that works from inside the ductwork to automatically locate and seal leaks. This inside/out approach to duct sealing makes it the first and only viable solution for effectively sealing leaks throughout the entire duct system, including the most inaccessible sections of ductwork. The computerized sealing system allows contractors to control and monitor the entire sealing process and provides an official report with before and after results at the end of each job. Today, aeroseal technology has become the fastest, most effective way to meet code and reduce the time and costs associated with sealing ductwork in new residential home construction projects.